A while ago, I made a knock-off of The North Face Raven shorts. The colour has faded but they are still in high rotation in my summer wardrobe. When I made them, I had plans of making a second version and adjusting the gusset design a little. That was back in 2012. It’s now 2018 and I’m finally getting around to that project. 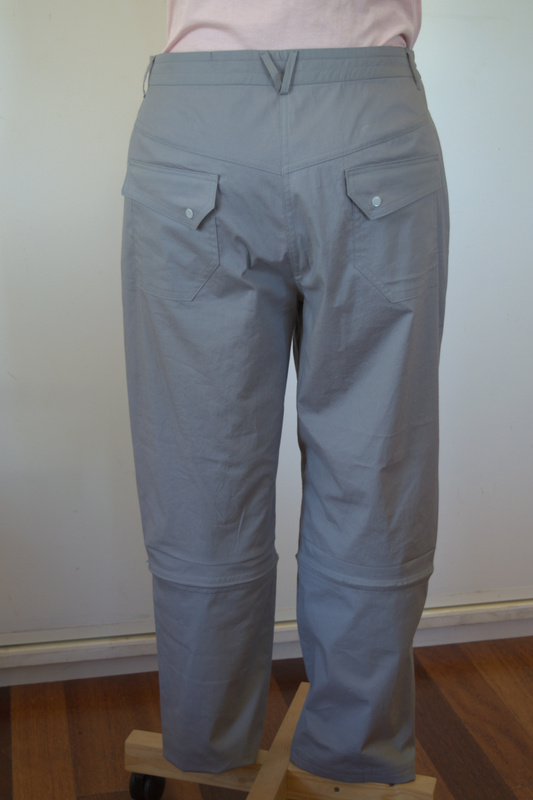 As part of my SWAP plan, I was going to make a longer, below knee length version using a light grey stretch woven. The fabric is fairly light but tightly woven. Just the right mix between being cool for summer but still tough enough for hiking. 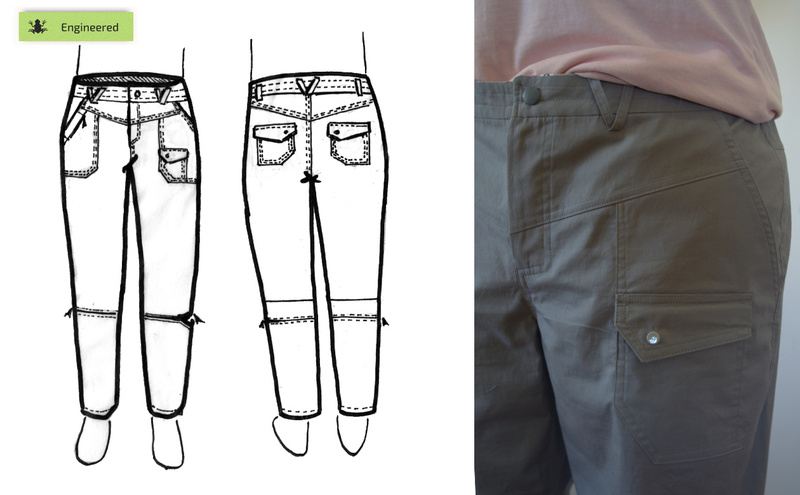 Instead of using the initial pattern that I had made for the shorts, I redrafted the pattern using the pants sloper that I made last year. 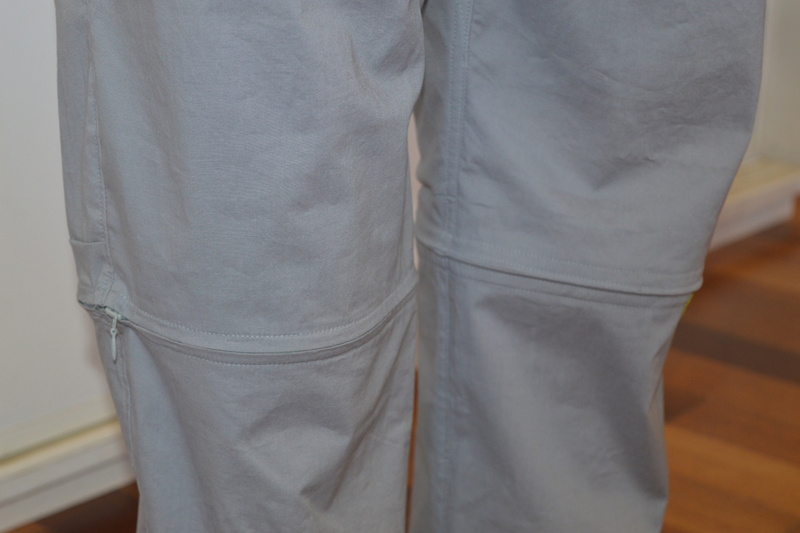 The front has slant and patch pockets on each side with a yoke extending to the edge of th slant pocket. 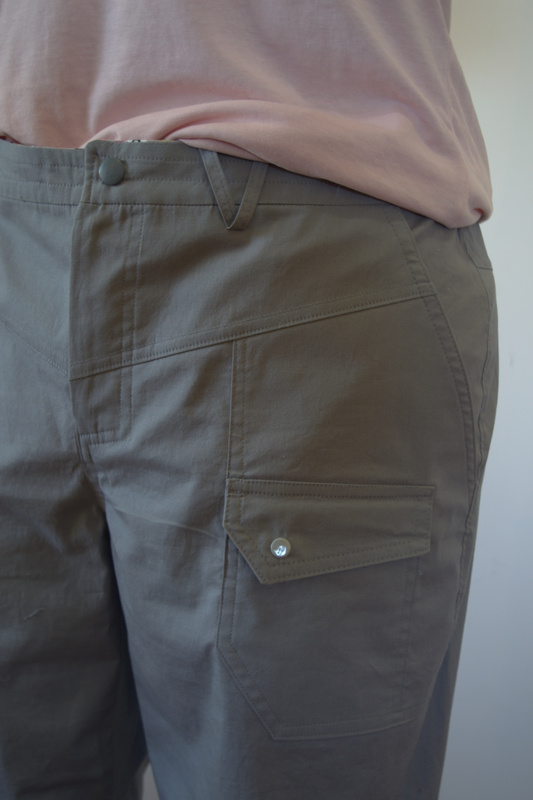 The front pocket setup is much the same as the original shorts, except that I’ve depended the patch pockets to end below the pocket bag of the slant pocket. 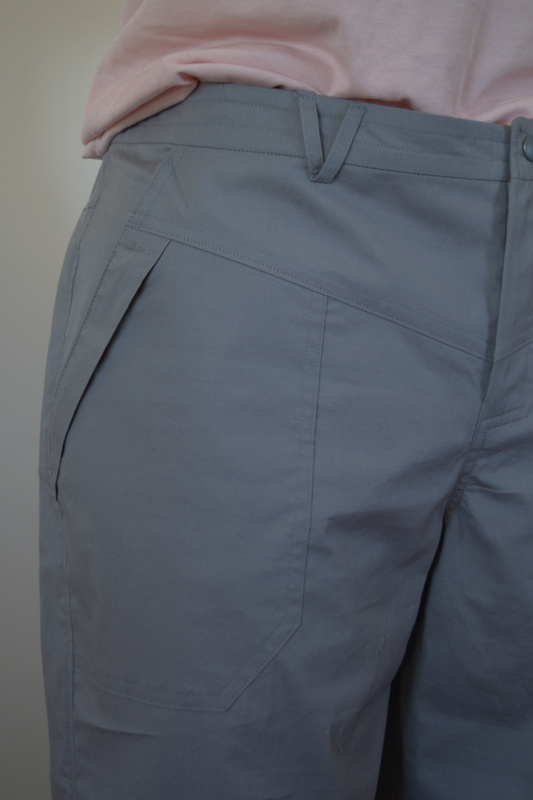 The zippered pocket on the right hand side has an overhanging welt like the ‘current’ style of pants. I had included a front stay in the shorts and have included it in this pair as well. My pockets get used, so having the stay. It helps support the pocket bag, especially with stretch wovens and prevent them stretching out over time. For the gusset, I’ve used a wedge that extends to just above the knee rather than a panel. Kuhl tends to use this gusset shape and I’m interested to see how it goes. There is a bit of bulk where the in-seam and gusset come together at the knee which may get annoying on a long walk. 😉 Need to give it a good test on a long walk to find out. The back has the same pocket style, but I’ve changed the dart into a yoke. The dress form doesn’t have the same bum shape as me, so you’ll have to trust me that the fit is spot on. I’ll get some better photos at a later date. At the back knee, I’ve added a fish-eye dart to give a slight bend in the knee. It is a bit more subtle than the baggy knee look of knee darts on the front leg. 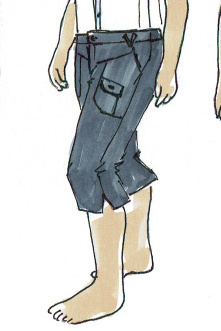 My original plan was to make them a cropped length (2″ below the knee) with a notched hem on the side. I had enough fabric to make them full length so they have become zip-offs. I’ve used an invisible separating zip to avoid the extra bulk of facings and flaps. To further keep then light, I haven’t worried about ankle zippers. I’ll just have to take my boots off. My “Treefrog Engineered” logo on the left leg tells me which side the zip-off sections belong to. I’ve been a bit reluctant to draft pants since all the hassles with fitting the sloper. The fitting wasn’t something that I enjoyed. But with that already done, doing the pattern-work for these pants was a whole lot of fun. It took less than an hour to draft – some 19 pieces, complete with seam allowances. The sewing was done in two afternoons. My next task is to get at least 30 wears from them. 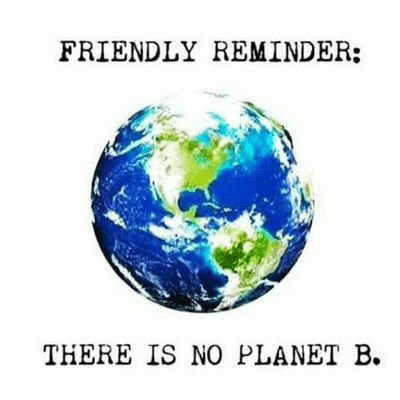 I’m up for that challenge! 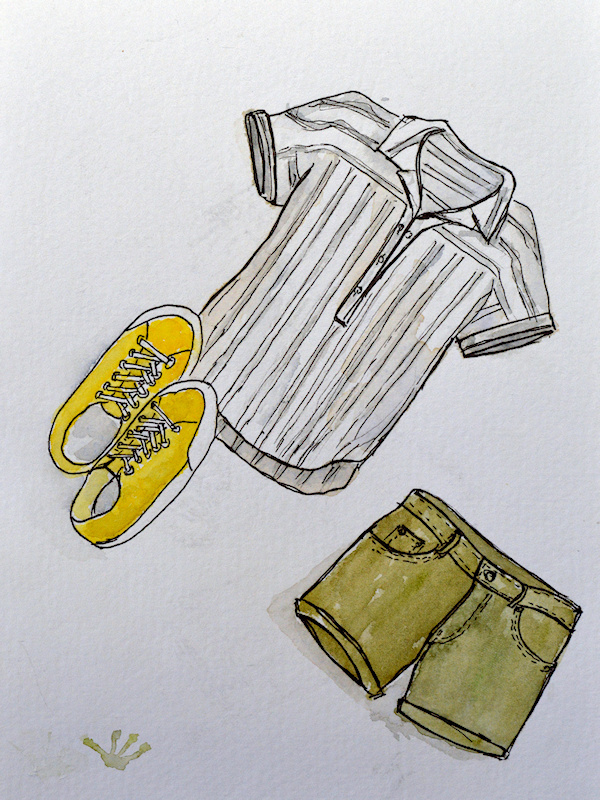 Next: Next post: My Handwoven Top …. done! Very impressive and good to hear that all the work on the pants sloper made this work so much easier. Those are amazing! They look perfect for hiking. Fabulous! Those are a seriously killer pair of pants. I love your technical drawing and analysis that you’ve begun adding to your makes. Waiting patiently to see your handwoven blouse! Thanks Sasha. 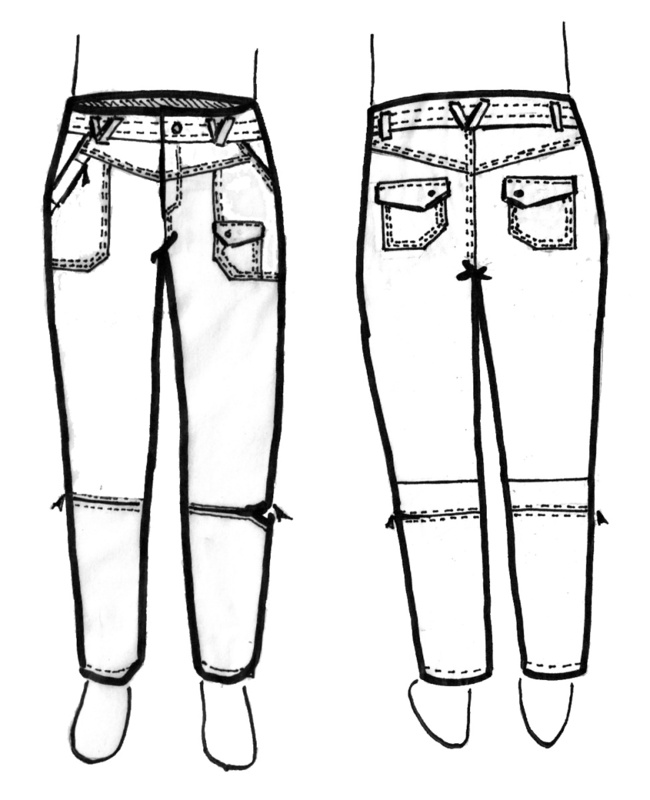 I’ve become interested in the ’30 wears’ concept and how I can relate that to my sewing. It will be interesting to look back in a year’s time and see if my estimates still hold up. Gosh, that is sharp topstitching, treefrog! I am in awe of your skills.